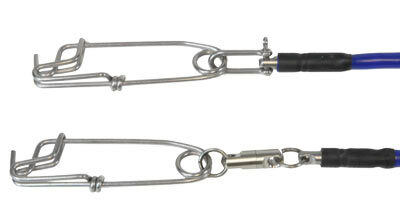 This is one of the strongest float lines available! Flexible vinyl outer shell drastically reduces drag, tangles,and UV rotting commonly associated with lesser floatlines. Cheaper than my last one and way better quality all around. Great float line for the price. This is a durable and hi-vis line with robust Tuna Clips already installed. I have seen similar lines for 3 times the price...why pay more when Mako has your back?